Hi there and happy Tuesday! The Summer Mini catalog is officially here - wahoo! One of my absolute FAVORITE sets from the Summer Mini is Watercolor Trio. It is so versatile and elegant. I made this card for a recent swap I participated in. The layout for this card comes from a previous Mojo Monday sketch. I actually made a card using this sketch when it was first posted. You can view my original card here. I hope your week is off to a super start. 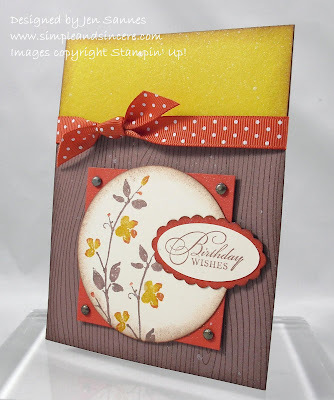 Stop by tomorrow for another card featuring products from the Summer Mini. 'Bye for now! Great sketch! This is nice! Nice color combination. Love the stamp set. Mine comes in this week. 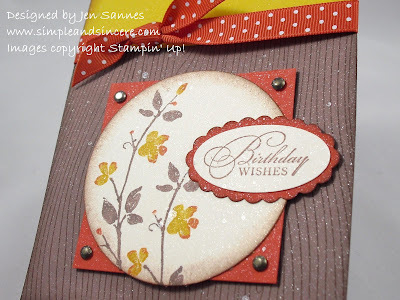 I really like the layers you have on this card and the colors work so well. 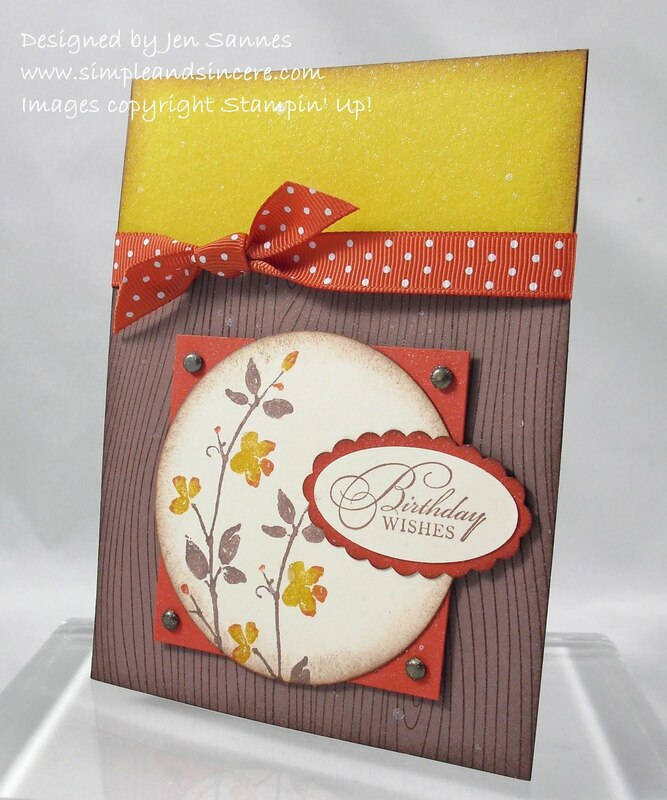 Thanks for sharing a great card!